Take 10% Off your next purchase. Expires on 07/15/2014. Save Up to 40% in the Clearance Centre. No coupon code required. Take 10% Off your next purchase. Expires on 07/31/2014. 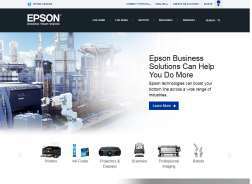 Get $30 Off Instant Rebate On Epson WorkForce WF-3520 All-in-One Printer. Ends 3/15/14. Take 10% Off Your Order. Expires on 09/15/2014.